We evaluate the stability of the suspension for administration to animals used in carrying out pharmacological experiments. 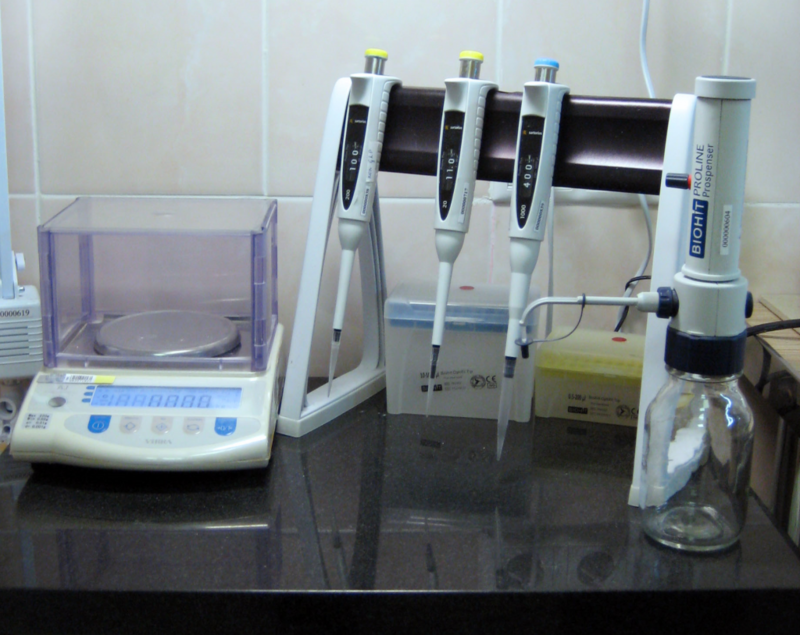 Under the order can be performed validation tests the stability of suspensions for administration to animals in terms of pH of the parameter precision, in terms of the height of the supernatant layer by parameters linearity and precision, in terms of dry residue in the parameters linearity, accuracy and precision. 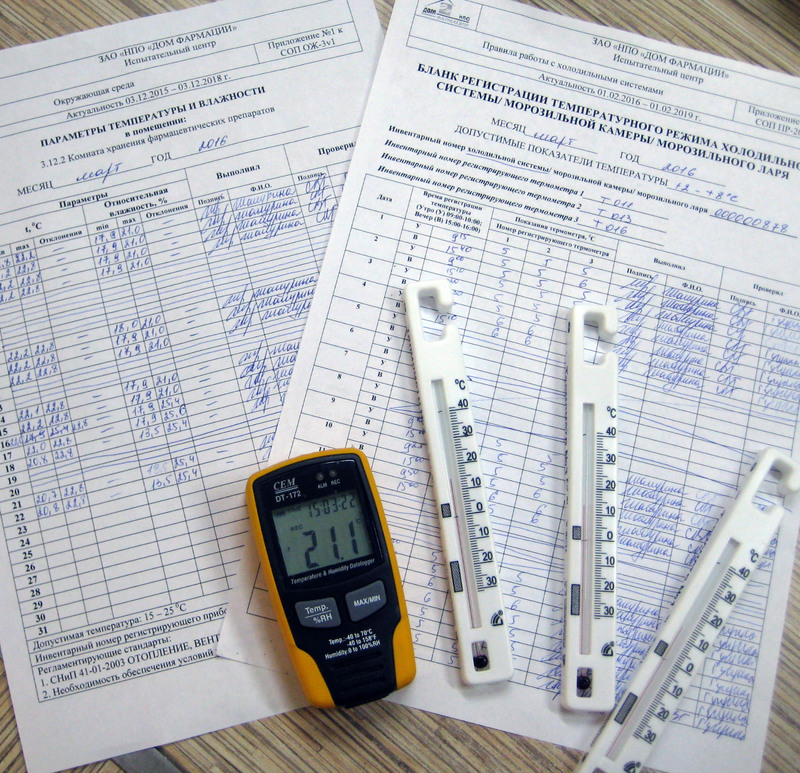 According to the National state standard GOST 33044-2014 the Russian Federation standard “The principles of Good Laboratory Practice” the organization has certain rooms for processing of test and standard objects, security compliance storage substances. 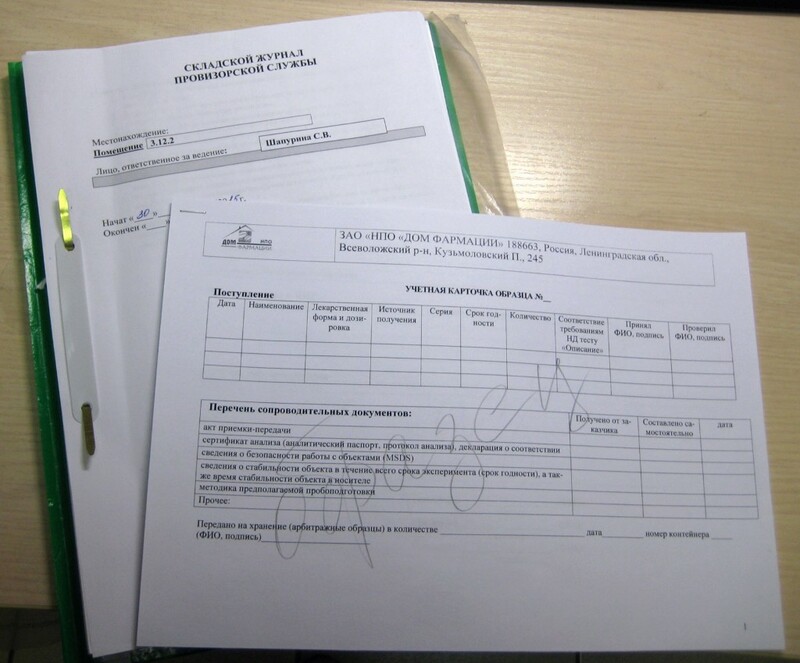 Disposal of unused test and standard objects in agreement with the customer is carried out at an appropriate landfills with the participation of the environmental state unitary enterprises. 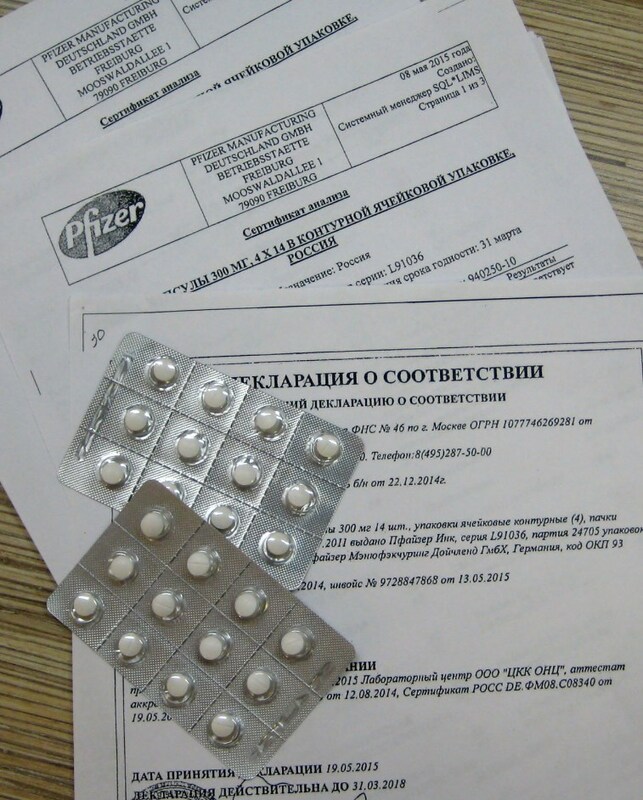 Qualified and experienced professionals to provisional services guided by the requirements of the basic normative documents provide the account and safety of drugs. Control the goodness of the objects at all stages of the work. It provides convenient dosing patterns animals. To provisional service provides high quality facilities throughout their time spent at work. During acceptance to provisional service checks the status of incoming objects. It checks the status of the packaging, the appearance of the object itself and the presence of all accompanying documentation. Controlled and mark on each object to properly identify each batch of the objects. Held account of the accompanying documentation to the samples. In obtained from the Customer documentation shall contain information on the storage mode of objects, information on the stability of the object during storage. To provisional service meets the security passports for test and standard objects and informs employees about security measures when dealing with drugs. 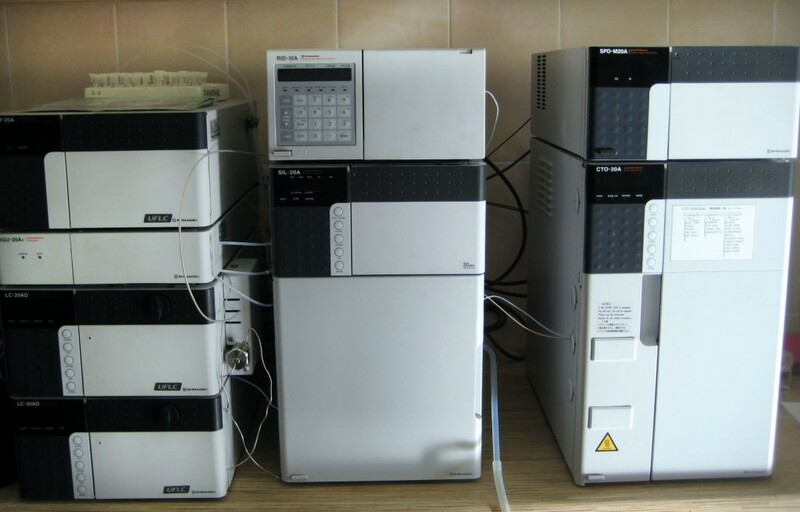 According to the OECD and GOST 33044-2014 “Principles of Good Laboratory Practice”, in cases where the test product is provided by Sponsor, shall be submitted to the mechanism, developed in cooperation between the sponsor and the organization conducting pre-clinical trials to establish the authenticity of the objects of research. As should be defined stability test and control facilities for storage, and in the experimental conditions. If the object is inserted as part of the carrier, it is necessary to verify the homogeneity, the stability and concentration of the object in this medium. 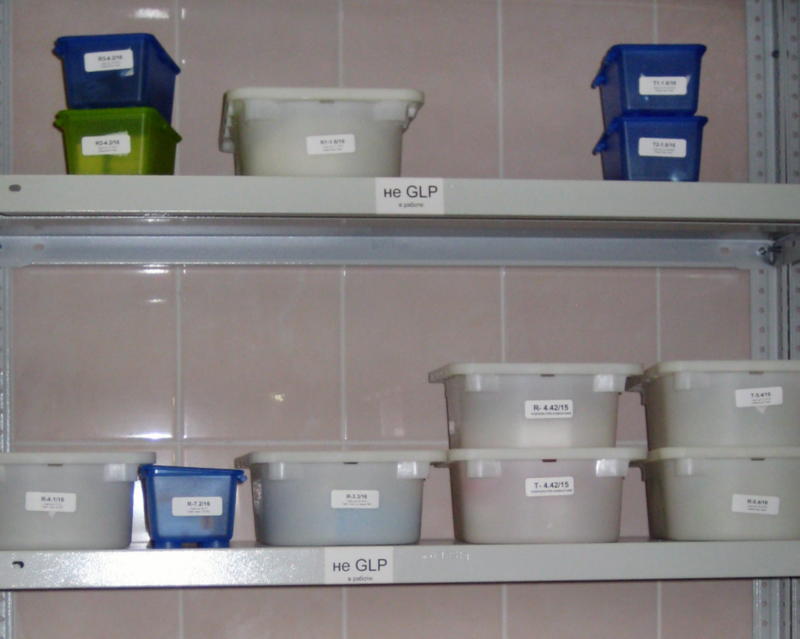 A sample for analytical purposes from each batch of the test product should be stored. 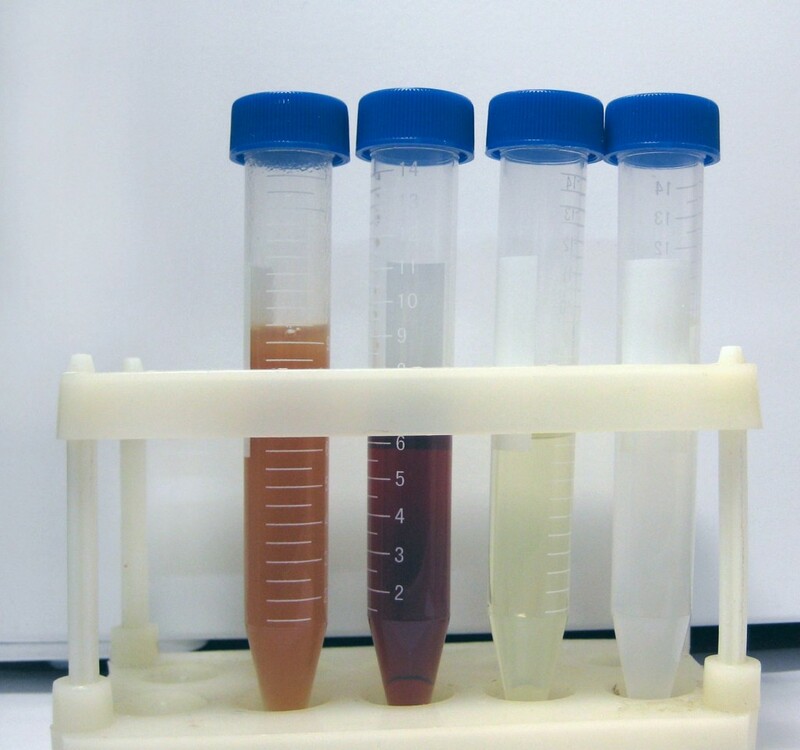 To provisional service developed techniques inspects objects obtained for stability, both during the storage period, and in the course of dissolution and dilution carrier. After all the procedures to provisional acceptance of service determines the order of storage. When storing objects must respect the identity, the preservation of the concentration, purity and stability, and also provides safe storage for hazardous substances. For storage to provisional office has allocated storage space with restricted access. 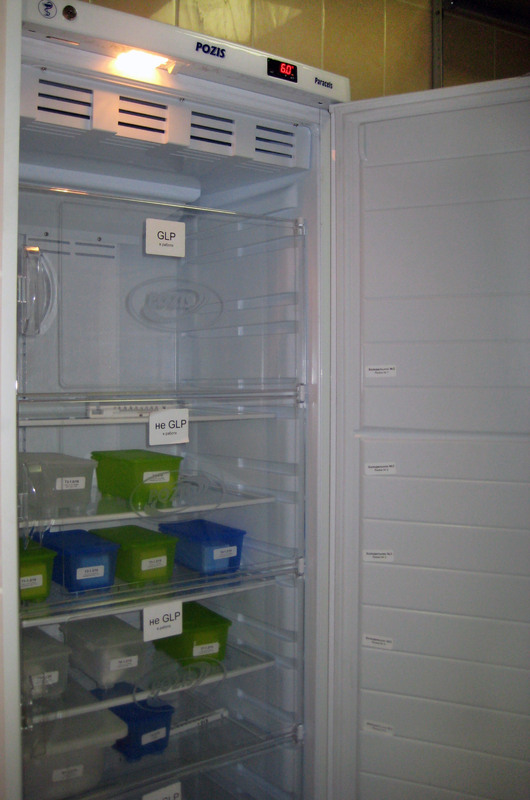 The storage room is equipped with racks refrigeration units, for different storage temperatures. The rooms and refrigeration systems is being monitored constantly temperature and humidity/temperature. On the containers, in which the storage, shall be marked with the specified identification information, expiry date and the storage mode. Receiving incoming objects, as well as training facilities for the research carried out in the equipped room, separated from the warehouse and on the premises animal. Preparation of the objects of research conducted with the help of an attorney and accurate weighing and measuring equipment. Before working with the test substances, objects are assigned a unique code. Coding of drugs allows the use of “blind” method of research method in which the employees performing the introduction of objects and receiving data with laboratory animals is not known which of the studied drugs the animal receives. Use a blind method for the analysis of data to reduce errors caused by conscious and unconscious interest of researchers in obtaining certain results of the study. Also, this method allows for a clear and understandable labeling of the objects. 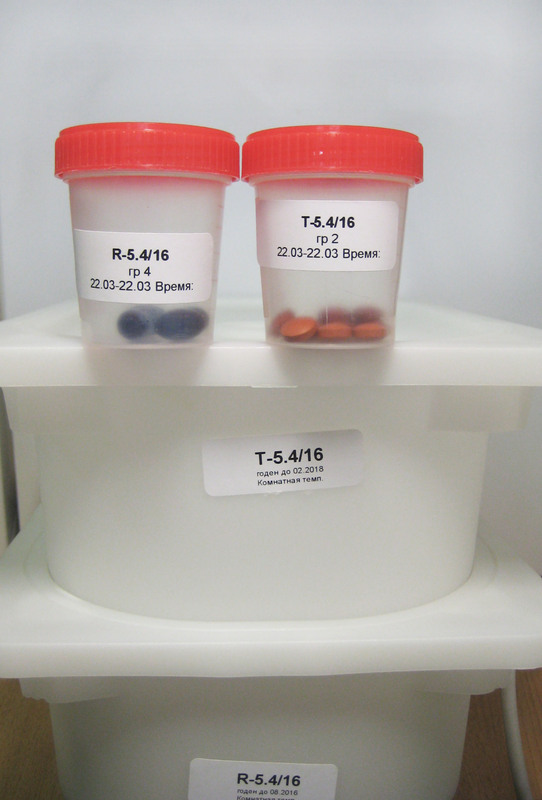 In order to ensure the introduction of laboratory animals of the objects in a convenient form to provisional office carries out the preparation of the dosage. 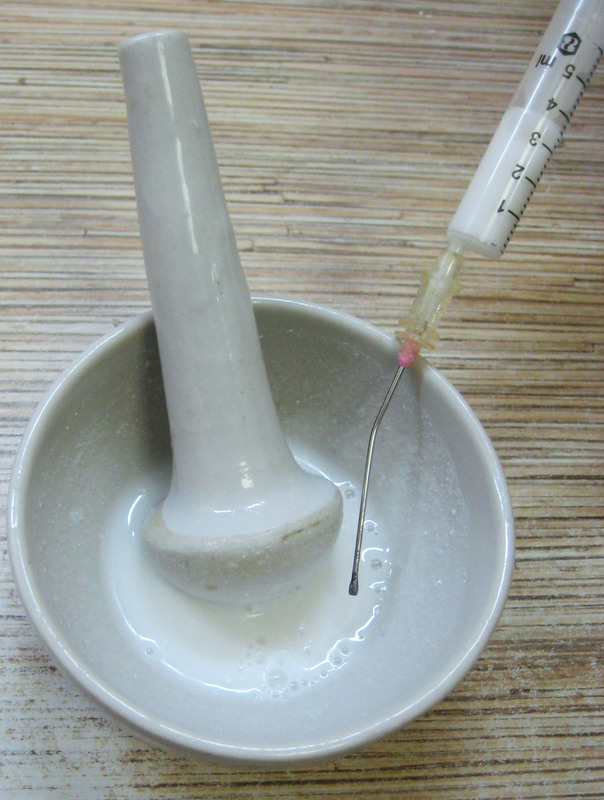 Dosages are prepared extemporaneously (storage time of the preparation of solutions and suspensions do not exceed 4 hours, and in special cases less than 10 minutes prior to administration to an animal). Unused facilities or returned to the sponsor research or transferred for disposal to a specialized company. Gushina S.V., Makarova M.N., Pozharitskaya O.N. Comparative toxicological studies carriers for medicines used in pre-clinical studies // International Bulletin of Veterinary Medicine. -2015, №3. -P. 92-98. Makarenko I.E., Avdeeva O.I., Vanatiev G.V., Rybakova A.V., Khodko S.V., Makarova M.N., Makarov V.G. Possible ways and amounts of drugs administration to laboratory animals // International Bulletin of Veterinary Medicine. – 2013, № 3. – C. 78-84.176. 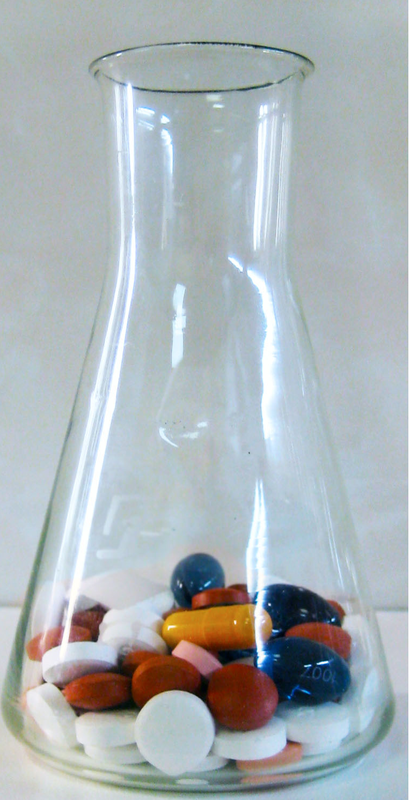 Karlina MV, Pozharitskaya ON, Kosman VM, Shikov AN, Zabozlaev AA, Makarova MN, Makarov VG An in vitro model to evaluate the dissolution rate of the hydrophobic substances of lozenges (lozenges) on the example of coenzyme Q10, in vivo / in vitro correlation // Pharmaceutical Chemistry Journal. -2012. -T. 46, number 7. C. 52-55. Gushchina SV, Kosman VM, Makarova MN, Shikov AN Preclinical studies of the stability of suspensions prepared from ready-made drugs // Pharmacia. – 2017. -T. 66, No. 3.-C. 27-32. Kirichenko D.V., Pozharitskaya O.N. Summary influence of auxiliary substances of the solid dosage form on the selection of the carrier for introduction to the laboratory animal // VIII All-Russia Scientific Conference of Students and Postgraduates with International Participants “YOUNG PHARMACY – POTENTIAL OF THE FUTURE”, St. Petersburg, 2018. – Р. 435-337. [Full text is available in Russian].